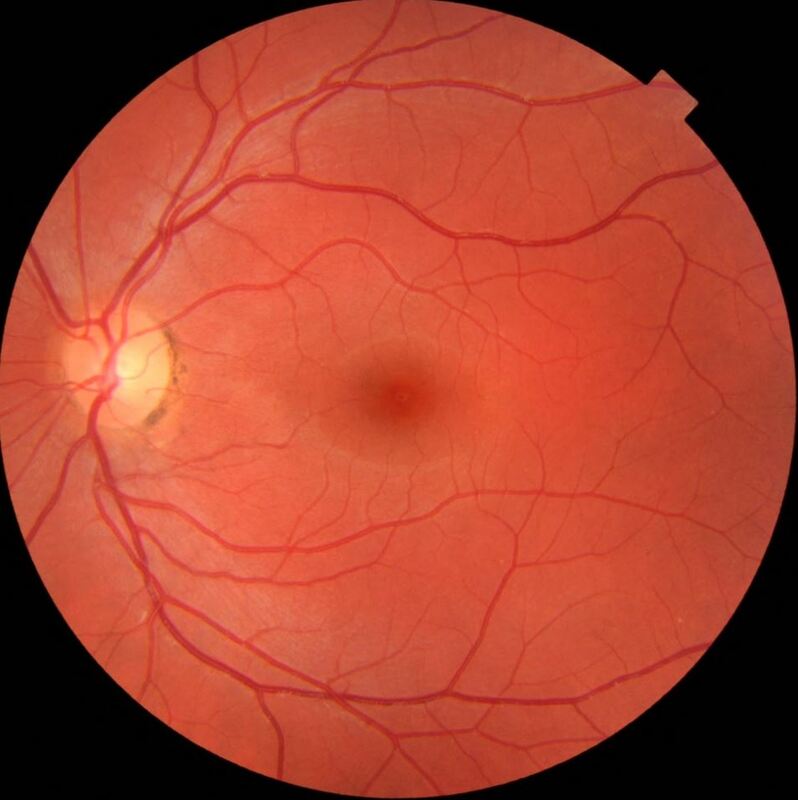 The part of our retina that serves our central vision is called the macula. The macula does most of the work as it converts light photons into electrical impulses that go back to our brain. The macula can wear out over time causing a slow decrease in central vision over time, called dry macular degeneration. If the macula wears out so much that it starts to bleed, it is called wet macular degneration. 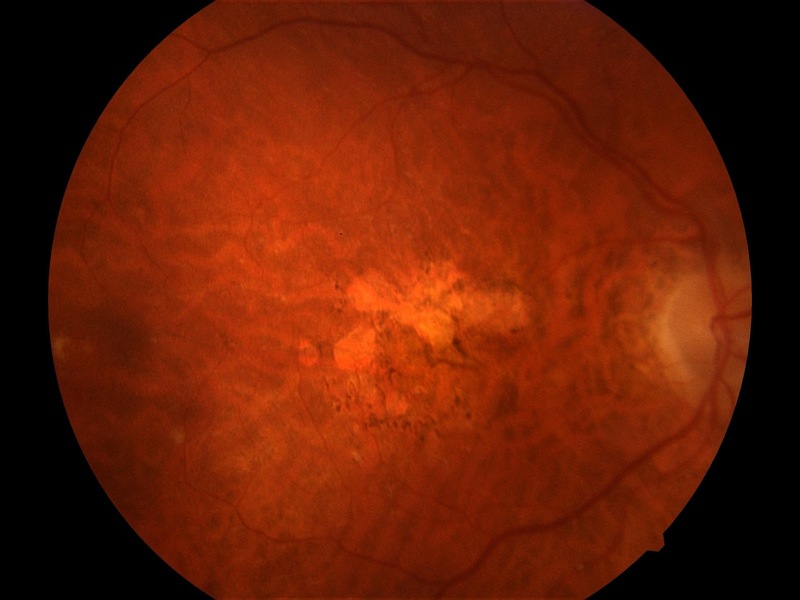 Wet macular degeneration causes sudden and significant loss of central vision. Live a healthy lifestyle. Whatever is good for your heart, is also good to prevent macular degeneration. This includes diet and exercise. Eat a lot of dark, green leafy vegetables, especially kale and spinach. Don’t smoke. Smoking significantly increases the risk of macular degeneration. 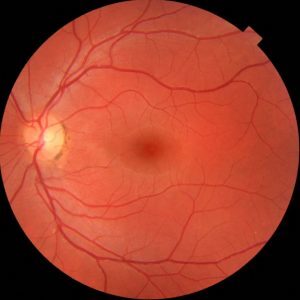 If you already have dry macular degeneration, or if you have a strong family history of macular degeneration, you may benefit from taking supplements according the Age-Related Eye Disease Study (AREDS 2). You can find these at any phamacy or online. Use sunglasses to protect your eyes when outdoors. If you already have dry macular degeneration, use an Amsler Grid every day to make sure you don’t develop any blind spots or distortions in either of your eyes. Download a copy of the Amsler Grid HERE. For wet macular degeneration, a prompt referral to a retina specialist is needed. The retina specialist puts a special medication inside the eyeball that helps the bleeding absorb and the leakage to stop. 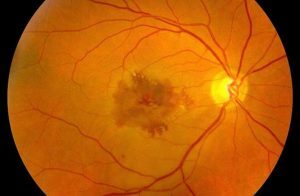 The goal is to stop the progression of wet macular degeneration, but in many cases the damage can be reversed. Most often the medication has to be injected into the inner eye on a monthly basis for several months, but the benefits of saving the vision are worth it. We have several tools to monitor macular degeneration. The goal is to catch wet macular degeneration in it’s earliest stages, before it actually decreases the vision. To monitor macular degeneration or to see if you have macular degeneration, call for an appointment at 480-812-2211.